A Brisbane family were jolted awake this morning when they found a carpet python having a bath in their toilet. The Wynnum family quickly called up Stewart Lalor from Brisbane Snake Catchers who came over to catch the slippery intruder. 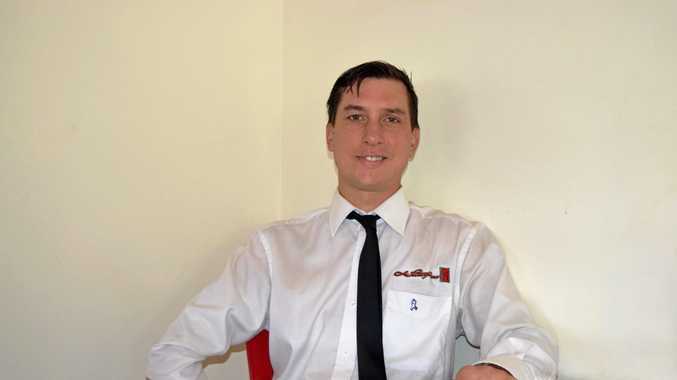 "I've had jobs in the past where I've had hands in the toilet for half an hour," Mr Lalor told the Courier Mail. "This guy half took himself out (of the water) for me which was unusual. I think he was curious to see what was going on." Mr Lalor managed to grab the python easily and take him back outside where it belonged. Snakes regularly make their way through house pipes - especially in older homes where the pipes typically sit outside. 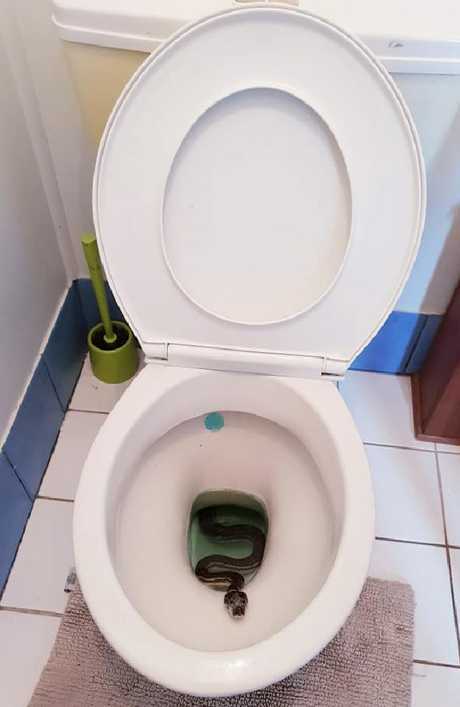 Offering advice to families who might find a snake in their toilet, Mr Lalor said the worst thing to do was press the flush and push the snake further down the pipe. 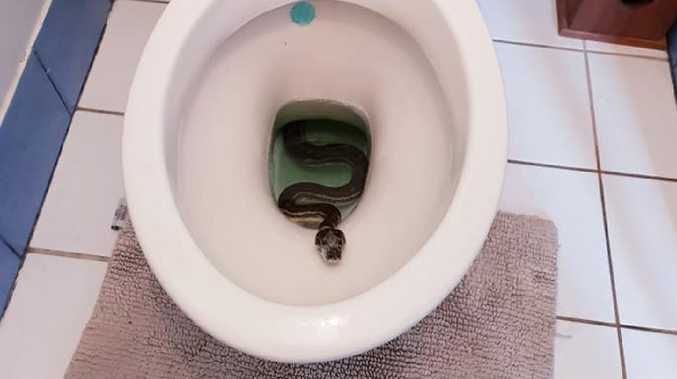 In July last year, a Townsville man found himself in a similar situation when he stumbled upon a carpet python in his toilet. Geoff Jacobs at Queensland Wildlife Solutions told reporters that particular python had probably followed a rat into the sewer. 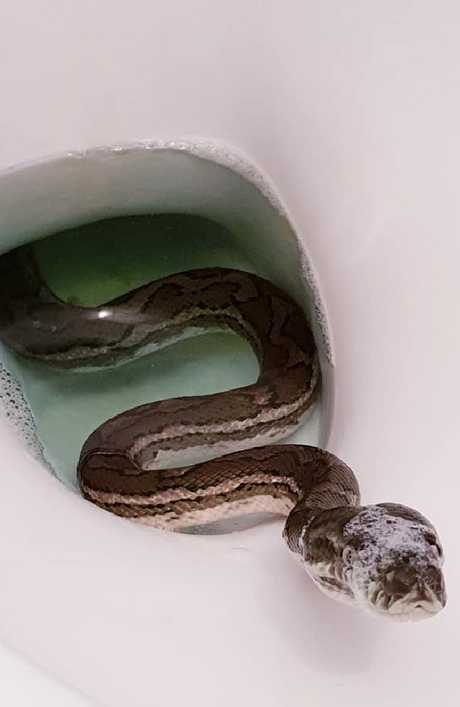 And in March last year, a Sunshine Coast teen had the fright of his life when he sat down to go to the toilet and felt a python wrap itself around his leg. "The boy said he sat down on the toilet, and this cold thing wrapped around his leg," Snake Catcher Noosa's Luke Huntley told the Sunshine Coast Daily. "He managed to shake it off luckily and I was called out. The snake was just looking for food and water. He knew he was cornered and felt like he had to defend himself."